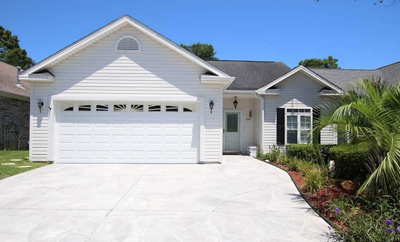 There’s plenty of houses for sale in Windy Hill, North Myrtle Beach, SC. They offer a variety of different options, and there’s a perfect one waiting just for you! Find the best windy hill house for sale from a realtor who lives right in the middle of it! Whatever your needs, let a trusted real estate agent simplify the process. I’m a local Realtor with many years of experience and know the market like no other. With so many options on the market, it can be difficult to sort through them all. I’ll work with you to find your dream home. Condos – Condos offer the space of a traditional house without the need for exterior maintenance. Condos are often less expensive. They are arranged similarly to apartments, except you purchase the condo and, thus, build up equity. Single Family Homes – There’s no place like home. Individual homes grant a superior sense of privacy by placing space between you and your neighbors. Lawns are great for outdoor activities, whether that’s children playing or adults entertaining guests. Barefoot Resort – Myrtle Beach’s Barefoot Resort offers large, sandy beaches, oceanic views, four nearby golf courses, and hundreds of opportunities for entertainment and restaurants. It’s the ultimate in living in Myrtle Beach. Have previous property to sell? Let me help take the pain out of what can be a grueling process. We’ll set up open houses, schedule meetings with potential buyers, and take care of the paperwork involved in a home sale. Imagine your perfect home: three bedrooms, two-car garage, two-floors, within easy reach of the beach. Or maybe it’s a two-bedroom, high-rise condo with a spectacular view of the city and a patio from where you can smell the ocean breeze. Now, how are you going to find it? Your day is busy enough as it is. Let my expertise save you time and frustration by helping narrow your search to possibilities tailored for you. I specialize in houses for sale in Windy Hill, North Myrtle Beach, South Carolina. 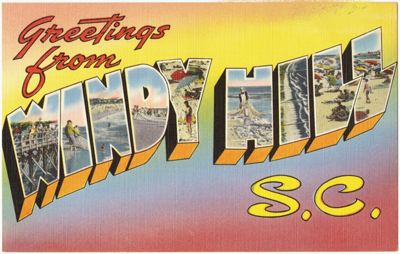 As a local Real Estate Agent, I help people find condos and homes for sale in Windy Hill, North Myrtle Beach, SC. A Local Windy Hill, North Myrtle Beach, SC Real Estate Agent: Windy Hill Houses For Sale.